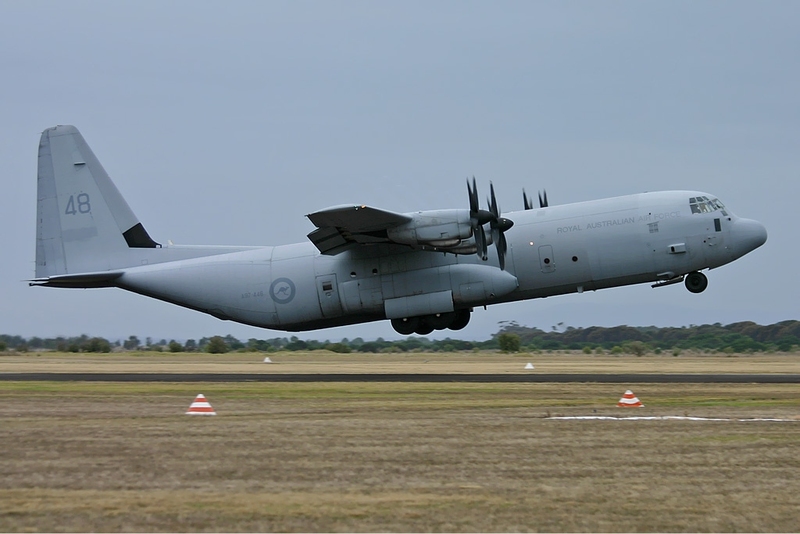 The C-130 entered service with the U.S. in the 1950s, followed by Australia and many other nations. During its years of service, the Hercules family has participated in numerous military, civilian and humanitarian aid operations. In 2007, the C-130 became the fifth aircraft[N 1] to mark 50 years of continuous service with its original primary customer, which is the United States Air Force for the C-130. The C-130 Hercules is the longest continuously produced military aircraft at over 60 years, with the updated Lockheed Martin C-130J Super Hercules currently being produced. During the Falklands War (Spanish language: Guerra de las Malvinas ) of 1982, Argentine Air Force C-130s undertook dangerous re-supply night flights as blockade runners to the Argentine garrison on the Falkland Islands. They also performed daylight maritime survey flights. One was shot down by a Royal Navy Sea Harrier using AIM-9 Sidewinders and cannon. The crew of seven were killed. Argentina also operated two KC-130 tankers during the war, and these refuelled both the Douglas A-4 Skyhawks and Navy Dassault-Breguet Super Étendards; some C-130s were modified to operate as bombers with bomb-racks under their wings. 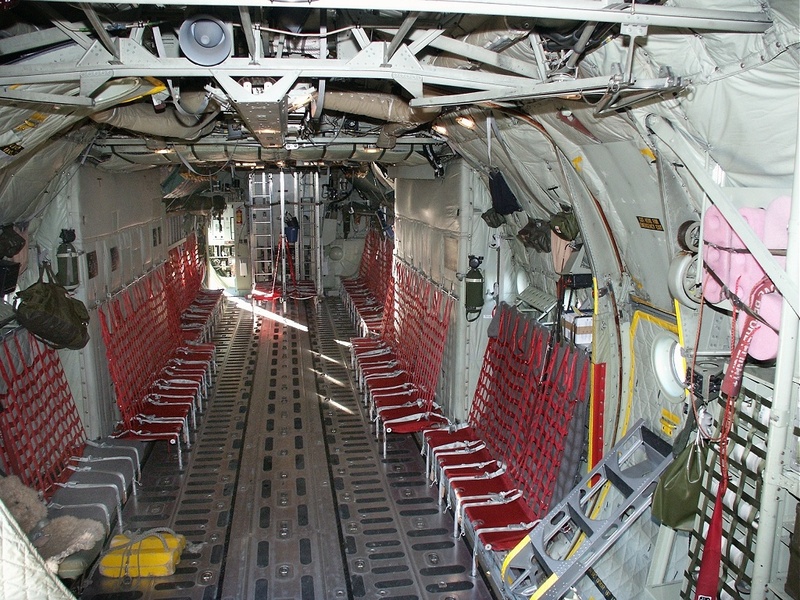 The British also used RAF C-130s to support their logistical operations. ↑ The C-130 was fifth aircraft after the English Electric Canberra, B-52 Stratofortress, Tupolev Tu-95, and KC-135 Stratotanker to mark 50 years of continuous service with its original primary customer as of 2007. ↑ "Family Ties: Three Generations Contribute to Hercules Legacy". http://lockheedmartin.com/us/news/features/2015/C130FamilyTies.html. Retrieved 8 July 2015. ↑ "C-130 Hercules". United States Air Force. 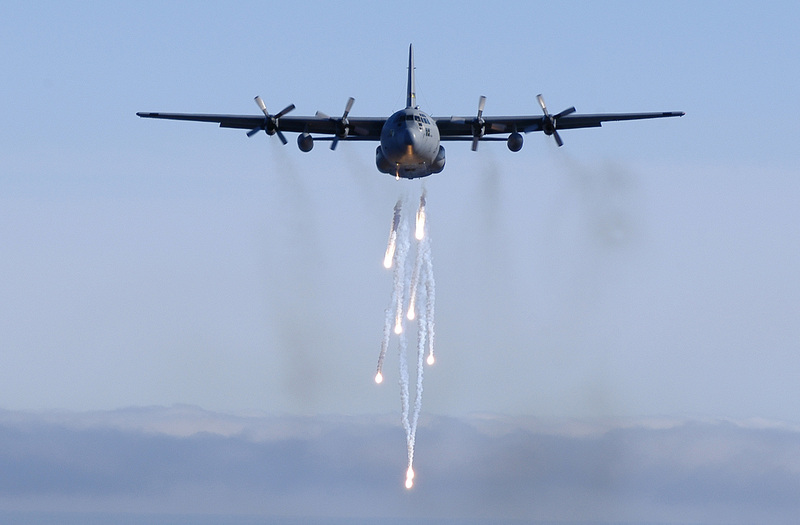 http://www.af.mil/AboutUs/FactSheets/Display/tabid/224/Article/104517/c-130-hercules.aspx. Retrieved 29 September 2015. ↑ "C-130 Hercules". 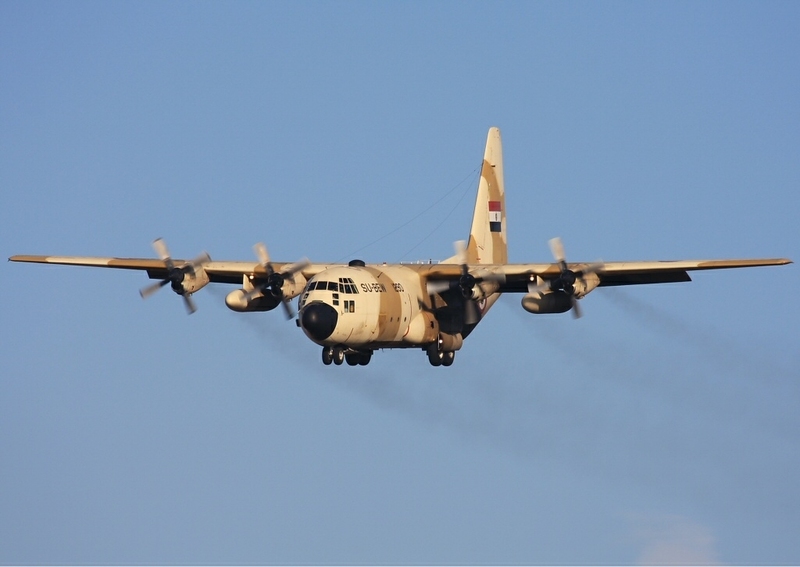 http://www.af.mil/AboutUs/FactSheets/Display/tabid/224/Article/104517/c-130-hercules.aspx. Retrieved 4 July 2015. ↑ "C-130 aircraft designed in the 1950s still delivers". 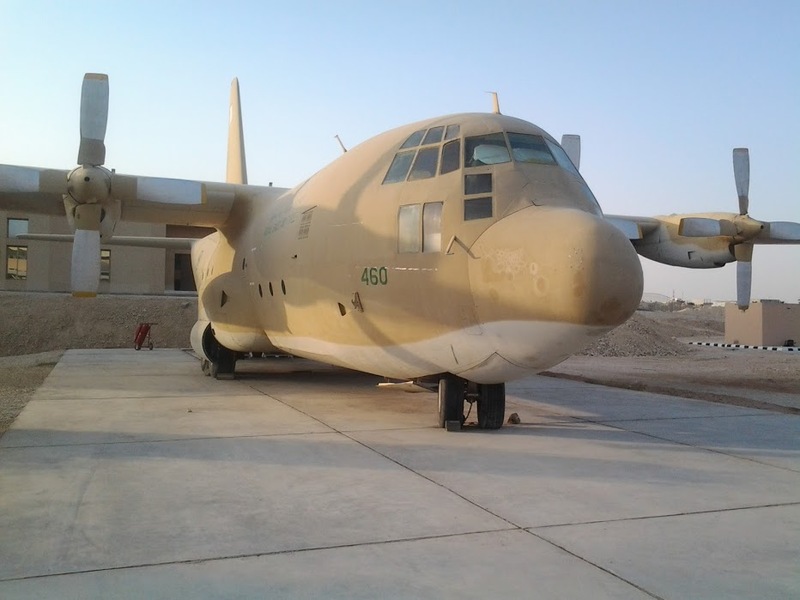 29 December 2015. http://www.marketplace.org/2015/12/29/business/c-130-aircraft-designed-1950s-still-delivers. ↑ Petrescu, Relly Victoria; Petrescu, Florian Ion (2013). Lockheed Martin. Germany: Books on Demand GmBH, Norderstedt. p. 11. ISBN 978-3-8482-6053-9. https://books.google.com.sg/books?id=49QmlNcqlUAC&pg=PA11&lpg=PA11&dq=C-130H3+GCU+BSU&source=bl&ots=IoC9lKdQ0p&sig=-k-uok8qDUGm06kpZFKJSQCZaJ0&hl=en&sa=X&ved=0ahUKEwjQ6_HyueDNAhXEqo8KHcoxAeQQ6AEIJDAB#v=onepage&q=C-130H3%20GCU%20BSU&f=false. Retrieved 2016-07-07. ↑ NurW. "DEFENSE STUDIES". http://defense-studies.blogspot.com/2011/12/lockheed-unveils-two-future-c-130.html. Retrieved 4 July 2015. ↑ "AF.MIL". http://www.af.mil/News/ArticleDisplay/tabid/223/Article/115079/engineers-testing-eight-blade-prop-for-c-130.aspx. Retrieved 11 July 2016. ↑ "60528's Last Flight" (PDF). National Security Agency. August 31, 2009. Archived from the original on 10 April 2016. https://web.archive.org/web/20160410093512/https://www.nsa.gov/public_info/_files/c130_shootdown/60528s_Last_Flight.pdf. Retrieved April 13, 2017. ↑ "Canadian Military Aircraft". http://www.rwrwalker.ca/RCAF_10301_10418_detailed.html. Retrieved 6 September 2013. 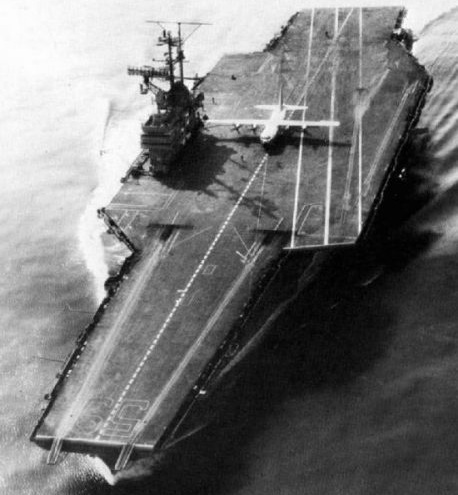 ↑ "C-130 Hercules on an Aircraft carrier." Defence Aviation, 2 May 2007. Retrieved 2 October 2010. ↑ Neely, Mike. "C-130 Hercules Lands on U.S.S. Forrestal". http://www.theaviationzone.com/factsheets/c130_forrestal.asp. ↑ Leeker, Dr Joe. 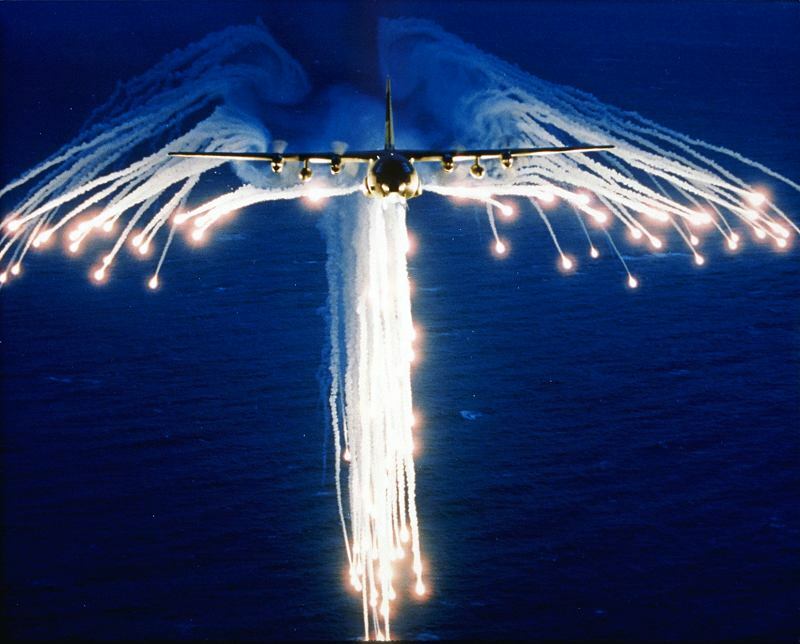 "Air America: Lockheed C-130 Hercules." Archived 7 September 2012 at the Wayback Machine. The University of Texas at Dallas. 23 August 2010. Retrieved 29 January 2012. ↑ "AFSOC Heritage." Archived 19 March 2014 at the Wayback Machine. US Air Force Special Operations Command. Retrieved: 31 July 2009. ↑ Schwarz, Karl (19 October 2017). "C-130J der Luftwaffe werden in Evreux fliegen" (in German). Flug Revue. 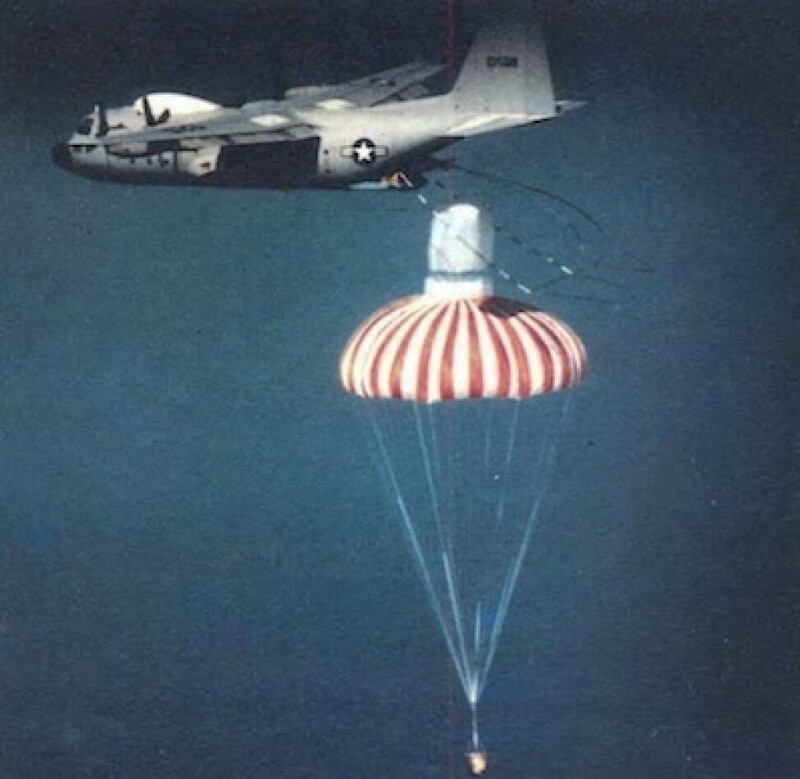 ↑ "Modular Airborne FireFighting Systems." Archived 7 September 2010 at the Wayback Machine. U.S. Forest Service, 16 March 2010. Retrieved 2 October 2010. ↑ "specialized aerial service". Archived from the original on 5 July 2015. https://web.archive.org/web/20150705185359/http://www.internationalairresponse.com/customers.asp. Retrieved 4 July 2015. ↑ "C-130H/Q Fire Fighting Air Tanker". http://www.lockheedmartin.com/content/dam/lockheed/data/aero/documents/global-sustainment/product-support/2013-hoc-presentations/2013-HOC-Tuesday/Tues%201145%20Coulson%20Aviation.pdf. ↑ "Criminal Occurrence description". https://aviation-safety.net/database/record.php?id=19580902-2. Retrieved April 13, 2017. 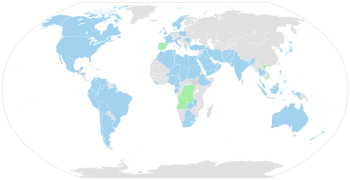 ↑ "Brazilian Military Airworthiness Certification and KC-390 Project Challenge" (.ppt). Department of Science and Aerospace Technology. p. 13. https://www.eda.europa.eu/docs/default-source/events/15-ifi---brazilian-certification-and-kc-390-br-maa.pdf. Retrieved 14 May 2017. ↑ MC-130 J name change promotes modern missions, preserves heritage Archived 27 February 2013 at the Wayback Machine.. Afsoc.af.mil. Retrieved on 2013-08-16. ↑ "SC-130J Sea Herc". Lockheed Martin. http://www.lockheedmartin.com/us/products/c130/c-130j-variants/sc-130j.html. Retrieved 12 June 2014. ↑ "Lockheed Martin's Sea Hercules unveiled". StratPost. http://www.stratpost.com/lockheed-martins-sea-hercules-unveiled. Retrieved 12 June 2014. ↑ Bogado, Luis (12 October 2012). "Arqueologia Aeronautica: LOCKHEED C-130B Hercules – Mat. TC-60 – Morón". http://arqueologiaaeronautica.blogspot.com.ar/2012/10/hercules-c-130-b-tc-60-moron.html. ↑ "Hercules National Air Force Museum of Canada". http://airforcemuseum.ca/en/aircraft-2/hercules. Retrieved 31 January 2017. ↑ "Museo Aeroespacial Colombiano Tocancipá, Colombia" (in en-US). Aviationmuseum. http://www.aviationmuseum.eu/Blogvorm/museo-aeroespacial-colombiano/. ↑ TOPPER, Javier Franco. "El Museo Aeroespacial Colombiano" (in es-ES). http://www.aviacol.net/historia-aviacion/el-museo-aeroespacial-colombiano.html. ↑ "Hercules makes final flight into Cosford. "[dead link] Royal Air Force Museum. Retrieved: 22 September 2011. ↑ "USAF Serial Number Search (55-037)". http://www.joebaugher.com/usaf_serials/1955.html. 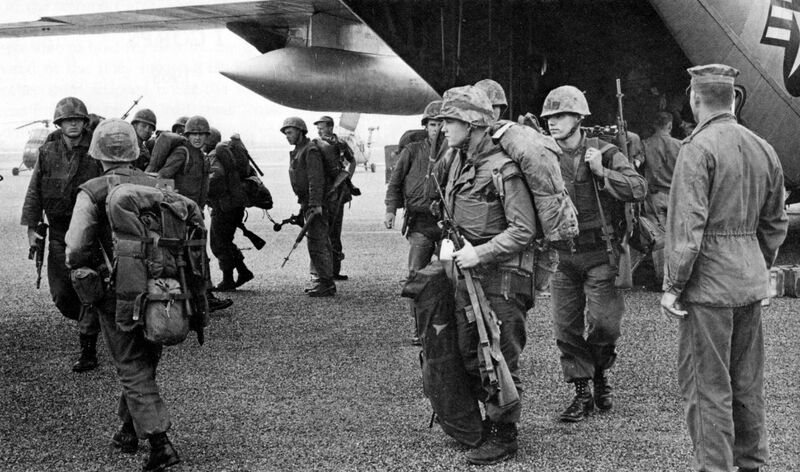 ↑ "The Last Herk Out of Vietnam - Only In Arkansas". 16 June 2017. http://onlyinark.com/culture/last-herk-vietnam/. ↑ "145th Airlift Wing, North Carolina ANG - Media Gallery". Archived from the original on 25 February 2015. https://web.archive.org/web/20150225150829/http://www.145aw.ang.af.mil/photos/mediagallery.asp?galleryID=10575. Retrieved 4 July 2015. 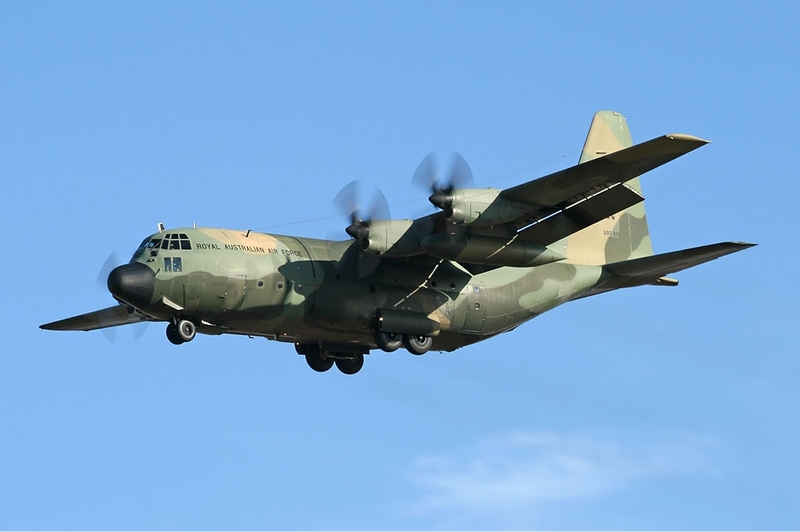 ↑ "Factsheet: Lockheed C-130E Hercules." Archived 14 September 2011 at the Wayback Machine. National Museum of the United States Air Force, 29 February 2011. ↑ 83.0 83.1 Olausson 2010, p. 74. ↑ "C-130 characteristics." Archived 27 July 2009 at the Wayback Machine. uscost.net. Retrieved: 7 July 2009.